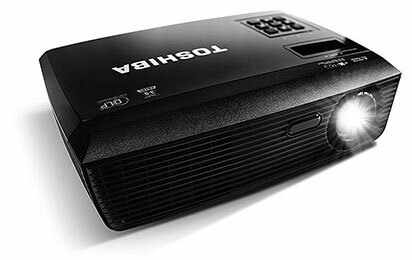 Running on DLP® projection technology, the NP15A series projectors feature high brightness of 3,000 lumens and high contrast ratio 10,000:1, making them suitable for a variety of lighting conditions. It also features BrilliantColor™ technology for stunning and vibrant colours. The NP15A series projectors are packed with user-oriented features that make usage convenient and hassle-free. The automatic vertical keystone adjustment ensures that pictures are not distorted when you tilt the projector up or down, while the 2-in-1 wireless remote incorporates a laser pointer so you don't have to hunt for a separate pointer. The front-facing fan exhaust prevents hot air from blowing at and distracting people seated at the back or at the sides of the projector. Enjoy flexible connectivity with a myriad of input connectors on the NP15A Series. 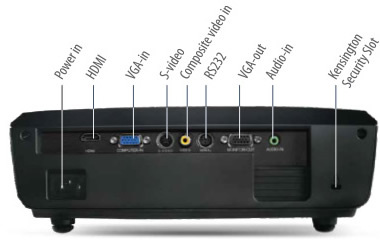 Easily connect with computers and other devices with both digital and analog connectors such as HDMI 1.4, RGB in, Monitor out, S-video in, Composite Video in and RS-232C and Audio in, and enjoy 3D movies with support for main 3D formats (Top-and-bottom, Frame Packing, Side-by-side and Frame Sequential).